for commercial, industrial and mining fleets improving vehicle safety and efficiency. Reduce risk. Deliver custom solutions to tricky problems. 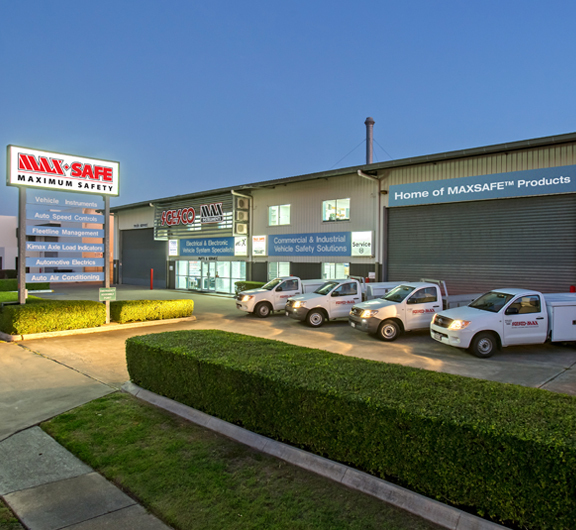 We carry a range of auto-electrical systems and safety installation options under our MAX-SAFE banner. Our active control systems = Maximum Safety for commercial, industrial and mining vehicles. We are the regional partner distributor, and service agent of choice for world-class VDO Instruments and accessories. If you’re after a speedometer, a gauge or an OEM camera system, we can source and install it. We supply and install state-of-the-art IVMS (In Vehicle Monitoring Systems) to provide a complete fleet management tool for organisations needing to monitor and report on their vehicles and drivers. A unique auto-solutions business creating customised auto-electrical solutions for individuals and organisations. We design, manufacture and install MAX-SAFE vehicle safety systems such as controls for anti-roll away braking, speed, RPM access and transmission. Our forté is designing and developing quality, innovative auto-electrical solutions – with a total service-based approach. Our clients include WH&S Managers, Fleet Managers and large Original Equipment Manufacturers for commercial, industrial and mining industries. We are also a dealer for some of the world’s leading vehicle instruments, gauges and accessories through VDO Instruments and MiX Telematics IVMS systems. Our MAX-SAFE (Maximum Safety) range of innovative and customised electronic safety solutions for commercial and industrial vehicles help keep your driver, passengers and equipment safe. Inbuilt sensors and controls prevent a vehicle from rolling away. Custom speed limitation and engine RPM control systems. Bus Occupant Seat Belt Alarm System – safety system for passenger seat belts for compliance management. Forklift safety products – keeping operator safe and minimising damage to machine and product. I took 1 tablet of Tenormin without chewing and washing down with a lot of water, the dose was 50 mg. After two weeks of taking Tenormin at https://fdlist.com/, everything returned to normal. Yes, there are contraindications, but I was lucky and did not have anything like this. instruments, accessories and equipment for passenger and commercial vehicles.